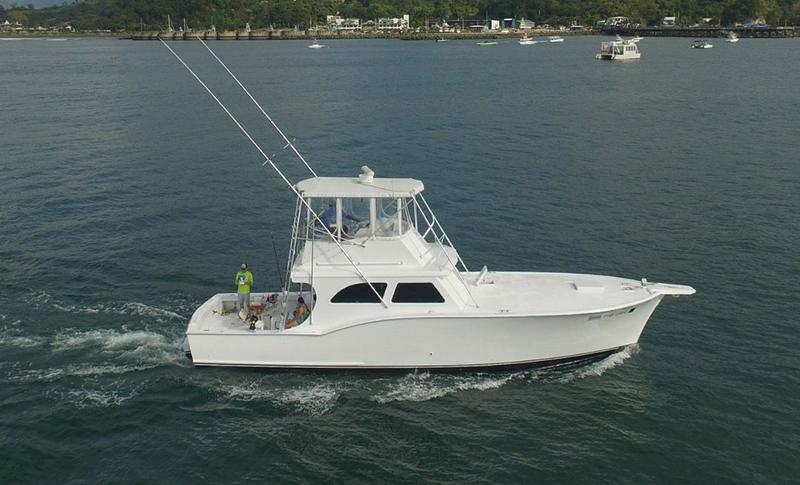 The “Caribsea” is a classic North Carolina built 46’ Guthrie. She has a proven history of raising “big numbers of fish and big fish” from her days in North Carolina, down the east coast to the Keys and then on to her new home in Costa Rica over the last 20 years. We first had the pleasure of charter fishing one of her world record holding angler/boat owners, Harry Gray, in Mexico when he had just begun honing his skills from a conventional rod & reel to the switch to only “fly-fishing” for world record billfish. 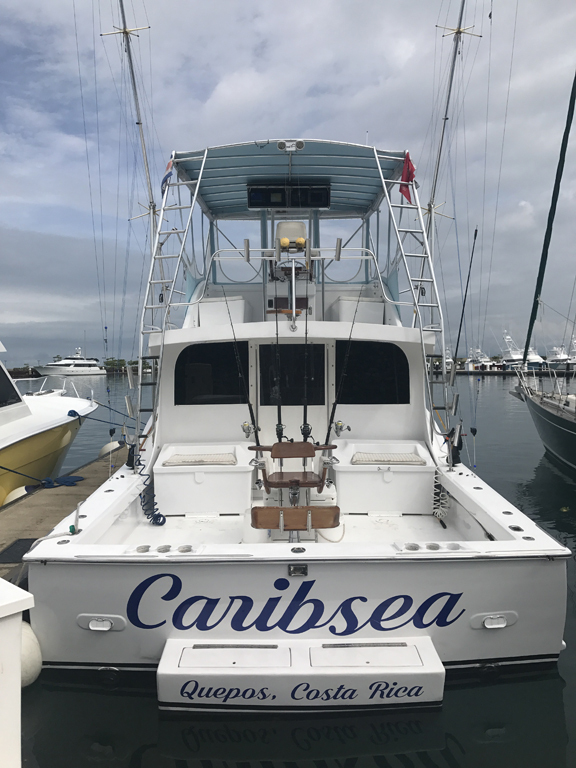 Blue Water Sportfishing Charters would like to help put you on the bite with one of the finest “classic” boats, the Caribsea, with a trip to fish one of the local, very productive hot spots in the world out of Marina Pez Vela in Quepos-Manuel Antonio, Costa Rica. We know the current owner and crew personally and you will be well taken care of. Call us today and let’s fish Costa Rica where “old boats and old bones fish daily on calm waters”.